TUESDAY, Nov. 22, 2016 (HealthDay News) -- The war against infectious diseases -- medicine versus microbes -- has been holding steady, with the U.S. death rate from these diseases about the same now as it was in 1980, new research says. But some of the specific disease threats have changed over the years, the study authors noted. Researchers found that the national death rate from infections stood at almost 46 deaths per 100,000 people in 2014. That compared with 42 per 100,000 in 1980. There were some major shifts during that time, however. The overall death rate went as high as 63 per 100,000 in 1995, owing to the HIV/AIDS epidemic, according to the study. AIDS deaths declined from then on, with the introduction of the "drug cocktails" that have turned HIV into a manageable chronic disease. But while there was progress against HIV, deaths from pneumonia and flu complications held steady over the years. What's more, deaths from some infectious diseases rose -- including the mosquito-borne West Nile virus and the gut infection C. difficile. The researchers said that while infections may not be the scourge they were 100 years ago, they remain a threat. "This shows us how challenging these diseases continue to be," said senior researcher Heidi Brown, an assistant professor in epidemiology and biostatistics at the University of Arizona. The changing face of HIV mortality is part of the "good news," Brown noted. "We see what can happen when we really work on something," she said. But with deaths from some other infections either holding steady or rising, Brown added, "we still have to remain vigilant." An infectious disease specialist who reviewed the study agreed. 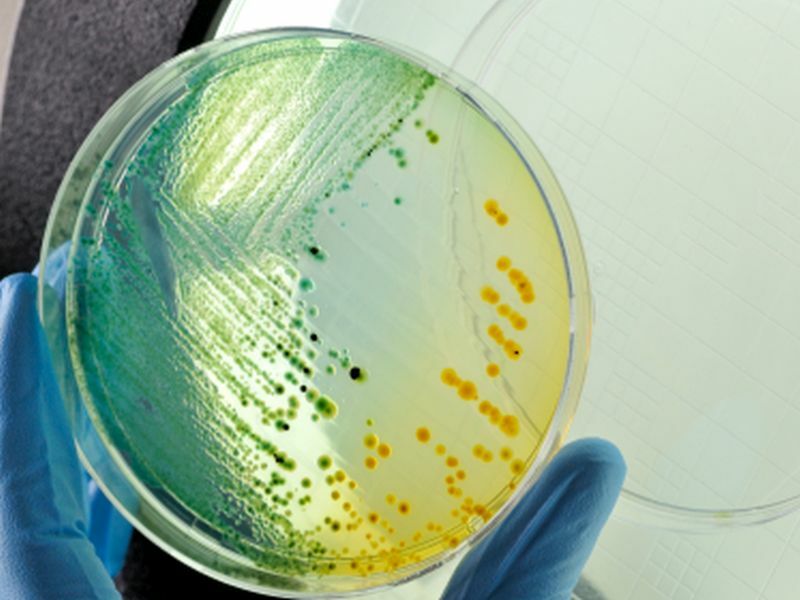 "The general trends in infectious disease have been encouraging as far as the impact on mortality," said Dr. William Powderly, president of the Infectious Diseases Society of America. But, he added, there are still major challenges -- with the threat of antibiotic resistance being chief among them. Take the recent rise in C. difficile -- a bacterial infection that causes abdominal pain, diarrhea and, in some cases, severe inflammation of the colon, according to the American College of Gastroenterology. One of the main reasons for it, Powderly said, is that doctors and hospitals have had to use more and more powerful antibiotics to battle stubborn infections. That wipes out the "good" bacteria in a patient's gut and can allow C. difficile bugs -- which are often resistant to the drugs used against other infections -- to run rampant. So far, deaths from pathogens with antibiotic-resistant strains haven't risen, Brown's team found. But that stable death rate "doesn't really capture the problem," Powderly said. "We're concerned that the pace of new drug development is not keeping up with the development of drug resistance," he noted. What's needed, according to Powderly, is more judicious use of antibiotics. "We need to do a better job of giving the right antibiotic to the right patient at the right time," he said. The new findings, published Nov. 22 in the Journal of the American Medical Association, are based on federal government statistics. Overall, deaths from any infectious cause fell substantially between 1900 and 1950, with the exception of a spike during the 1918 flu pandemic, the study showed. Much of that drop, Powderly said, can likely be attributed to childhood vaccinations. Focusing on more recent years, the researchers found that deaths were somewhat higher in 2014, versus 1980. Pneumonia and influenza were the most common causes, accounting for almost 40 percent of infectious disease deaths during that time period. The death rate from pneumonia and the flu held steady between 1980 and 2014, at about 17 per 100,000. "As people grow older, pneumonia and influenza remain an important cause of death," Powderly said. "This reminds us of the importance of adult vaccinations." That means the yearly flu shot and the pneumococcal vaccine, which can protect against certain causes of pneumonia. Brown's team also found that deaths from "vector-borne" infections inched up. That was related to the introduction of the mosquito-transmitted West Nile virus in 1999, the researchers said. Since 2002, the average yearly death rate from all vector-borne infections has stood at 0.05 deaths per 100,000 people, the research revealed. Those numbers are small, Brown said. But, she added, West Nile is a reminder that new infectious threats can suddenly turn up. Plus, she stressed, this study focused only on deaths from infections -- which doesn't capture the full "burden" infectious diseases place on individuals and society. Powderly agreed. As for what the general public can do, he offered some advice: "If you don't need an antibiotic, don't take one," he said. "Antibiotics are useless for the common cold, for example." Adults should also be aware of which vaccines are recommended for them, Powderly said. "If your doctor doesn't bring it up," he said, "you should bring it up."